ECONOMIC CRUNCH: UNLIVING THE LIES | Thoughts of a Calabarboy. 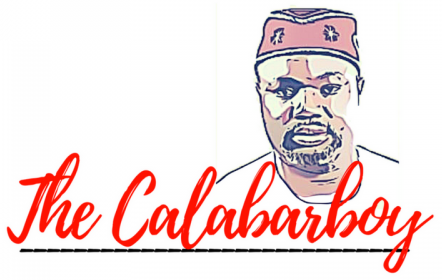 ECONOMIC CRUNCH: UNLIVING THE LIES – Thoughts of a Calabarboy. It is amazing how this global economic recession has become a propagator of tales; tales ranging from misfortunes, financial wreckages, broken hearts, soberness, and more frequently an increased art of prudence. Everywhere you turn you hear stories of how people have been battered and tattered by the melt down around the world. You read new blogs, which the writers were forced to start since they lost their job, chronicling their lives with no pay and how they are attempting to make the best of it. Others share logs of woes that have befallen them, while seeking advice from a host of readers from the corners of the earth. Lives have been touched by the economic travails and many seem beyond redemption. But the stories that amaze me most are how much of a lie many people had been living when the system seemed to have been working fine. As much as the capitalist driven world laid its foundations on mere paper and had a sudden collapse at a little shove from a sector of one country, many people have had their illusionary cloaks stripped from them. Now nakedly they stare at an unforgiving world and wonder what happened. New York. USA. Damien graduated from a respected Ivy League business school. He landed a job immediately as a financial analyst with a gold chip firm and started enjoying the benefits of doing this. Apart from a juicy salary for a young man of 29, he received wowing bonuses at the end of the financial year. After just six years of working, he drove a Mercedes Benz convertible, lived in a 3 bedroom apartment in Manhattan, bought another house in Stamford, Connecticut, and had a time share in Mexico. Every month he buys two pieces of designer suit worth about $1500 and made up for his appearance with accessories to match. After all most people in the world’s top financial district looked that way; he had to measure up. He attended a lot of lavish parties where champagne was bought from $450 per bottle, and he rolled with the happening boys on the street. Damien was living the life. He often procrastinated when it comes to savings and always assumed that he would put aside a significant part of his bonus every year. But he never did. The lifestyle needed to be maintained at a high cost. He lost his job eight months into the crisis and has since been looking for a new job. Although he has found a couple of opportunities, the best offer he has had so far is for 55% of his former salary with no bonuses. Initially he turned down some of the offers, being sure that he was a high demand on the market. But as the situation worsened, he decided to settle for less only to hardly find anything. He was repeatedly told he was too qualified for employment. His apartment in Manhattan faces foreclosure, while he is frantically trying to refinance his Connecticut home. His time share in Mexico is up for sale on Craigslist, while he has taken back his convertible to the dealers. In 6 short months, everything came apart. Now Damien still hasn’t paid off his student loads for both undergraduate and graduate studies, and his is indebted by almost $18000 on his credit card. What a lie he had been living. Lagos, Nigeria. Sir Joe (why he is called that I have no idea) recently lost his job as a banker in Lagos. He read accounting in a Nigerian university and had been working for just 2 years for a bank. He has already bought himself a car, rented a nice apartment in Ajah area, and wears the sweetest gears in town. At the point of losing his job he had 6000 naira in his savings while the other investments had lost value due to the crash in the stock market. Realizing now that he has to his rents to pay in 2 months time (and of course the landlord is demanding 3 years upfront), he is in a state of panic and had to get an overdraft to fix his car of recent. Now he sells cell phone recharge cards as a way of keeping things going and all he does with the proceeds is drink and smoke his time away, while hoping for a miracle to put his life back together. Sir Joe was pretty popular in his circle. He had parties at clubs, hung out every weekend, and always had one reason or the other for endless spending. He and his former girlfriend Sola are in the same predicament. She lost her job from a stockbrokerage firm and is now trying to learn fashion design at Obalende. They both had it going for a while, but it was all a lie. Like the short stories above so many people have been stripped bare and we now see that it was all a false appearance. The cost of a wannabe life is extremely beyond what most incomes can contain. Yet the life was sustained by the propensities to earn and not what was actually available. It is like running a car on an empty tank and expecting that before it stops there will be a gas station to refuel. If you didn’t map the road and apportion gas stations at intervals, you may never know how near or how far off one maybe. Therefore assuming that one has a continuous capacity to earn is foolhardy and only increases the depth of pain when the unexpected knocks (as it always does). The credit crunch has really exposed a lot of those who were living false lives such as Bernie Madoff, Damien, Sir Joe, and Sola. From the big to the small, we see the unfolding theatrics of global and personal melt downs without obvious warning signs. Unlike the ones whose lies have been uncovered, a few were prudent and knowingly saving and containing their carnal appetites. I know of one who lost her job but because she saved and invested rightly, she had enough stored up to start a business that is viable. Another one simply moved to a lower paying job and could still live comfortably because he was not extravagant but was shrewd with the much he earned at the time. Many are picking wisdom from the events of this past year and are buckling up for even tighter times. No one knows how long the recession is going to end, the economist only forecast based on prevailing data. But time and time again such prediction has always fallen heavily short of their mark. So it is more sensible to lead a simple and truthful life. Even when you earn enough to buy the whole city a cup of Starbucks coffee, you must understand that times and seasons change. So when you are in one season, you plan for the other because circumstances change as the seasons do. So if you are living a life, don’t worry, these times will help you ‘unlive’ it. WOW! Reg, Great Piece as usual. hard talk, good one for that matter. right on time.